There have been 37 images uploaded to this topic. (View topic image gallery). There are 136 posts in this topic. You are on page 1 of 3. I picked up a coveted ICB a few months ago that was in pretty decent shape. Over the last few months though I've been looking online and compiling a list of vendors that sell replacement parts. I also would like to summarize some key tech tips in here as well. There appears to be quite of bit of threads on specific ICB issues, but thought one comprehensive thread would be beneficial. Also, I'd be very interested to see anything people have done to their ICB's to make them unique/different/etc. Discussion on improving side rail motion. White lithium grease solution. Last week my game started malfunctioning. It would start-up and continually go through the ball search. I checked the main ball trough switch (behind the plate that opens to release the ball) - voltage, continuity, etc. Everything checked out as good. Did some more digging and eventually stumbled upon the start button switch. Somehow that had become obliterated (little kids mashing the button over and over?) and was causing a short, reading always closed. I wouldn't have thought it would result in the game going through repetitive ball search, but once I pulled the start switch the game worked just fine. Anyway, something I thought was seemingly unrelated ended up being the issue. Anyone have any thoughts on what a fair price for an ICE Ice Cold Beer is these days? It's my understanding that the ICE is the less desirable version compared to the Taito. Anyone know how to set ICB Taito to free play? There is no free play. I clip to wires with alligator clips to the coin switch tabs and run them out the coin return where I have it hooked to a button. You can do permanent mods, but I don't suggest that. I found them to be similarly desirable. I owned both versionat one point and the ICE version is the better one. 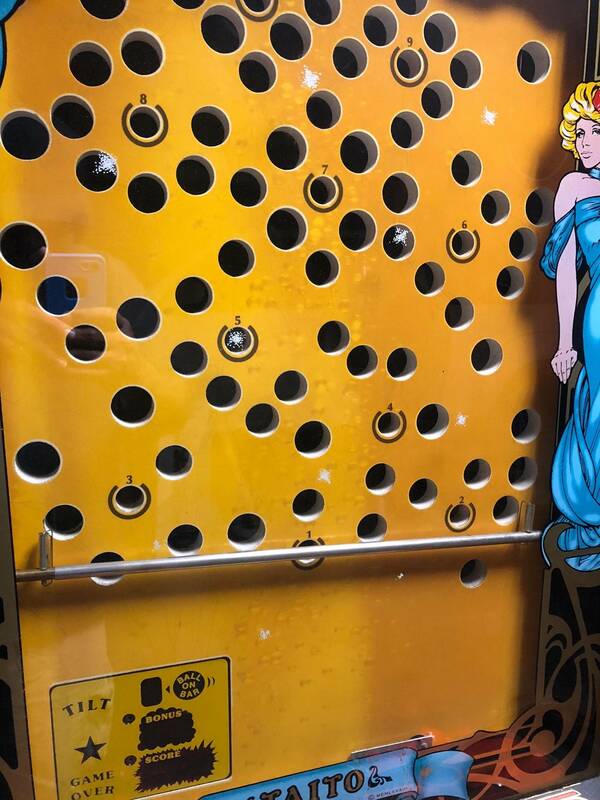 It has better control and 12 holes instead of 10. 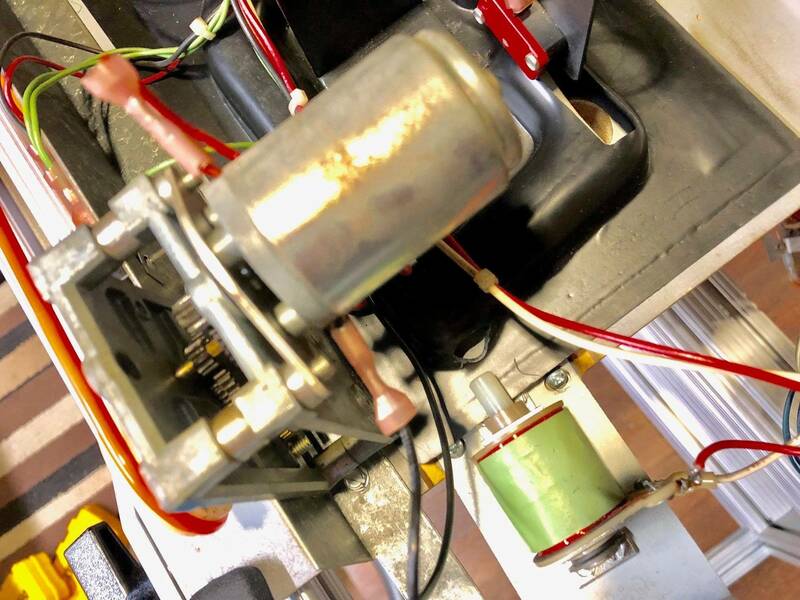 I mounted a switch on the inside of one of my coin mech brackets in proxmity to one of the coin eject buttons - every time I want to play I just push the coin eject, it pushes the switch, and it adds a credit. As for which one is more desirable, it depends on what you're looking for. 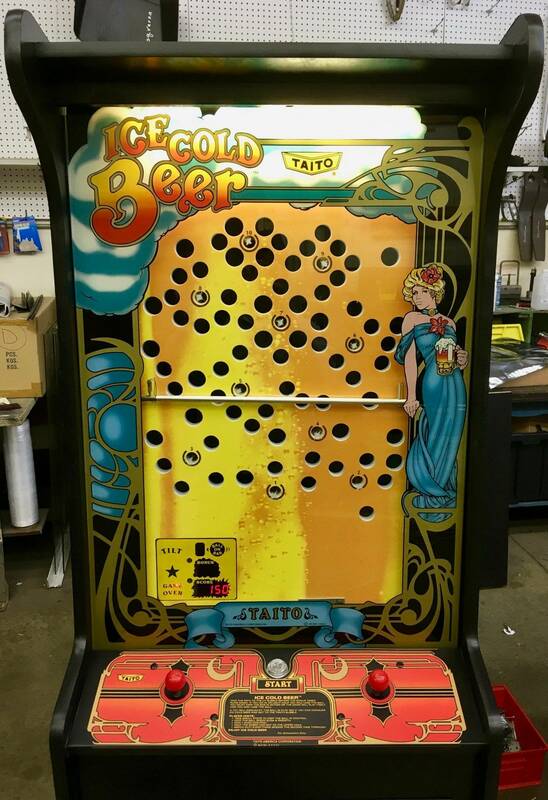 I find the ICE version of ICB ugly as hell and the playfield looks cheap. The form factor just looks off IMO as well. I'd rather have no ICB than an ICE one. But as Whysnow pointed out, the ICE version is arguably better from a play/performance perspective. I just wish someone would make a custom themed ICB integrated with more rules, a display, great art, etc. and sell it for under $2K, but I think that's a pipe dream based on parts cost unless it came out of China... As is, the game is great, but get's old quick. Wouldn't take much to make it a lot more interesting long term. 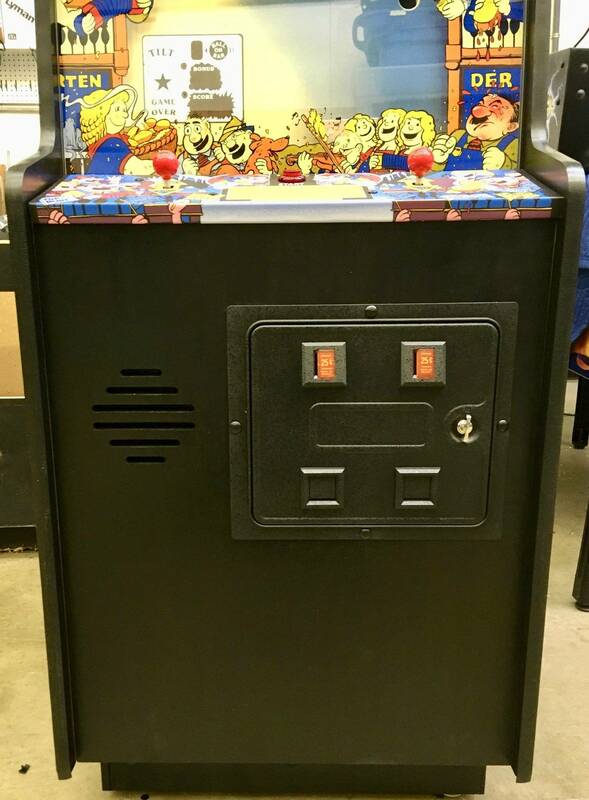 As for how much, you're probably looking at $1400 to $1800 for a Taito version. Problem is, people that have them don't really want to sell them. There's a free play rom hack out there, it works perfectly. Finally found one after 5 years of looking. New motors and glass on the way. Anyone have input on these replacement power supplies? Mine works fine but r the originals truly "troublesome"? They appear to be so simple but maybe that's a bad thing? Mine works fine but r the originals truly "troublesome"? 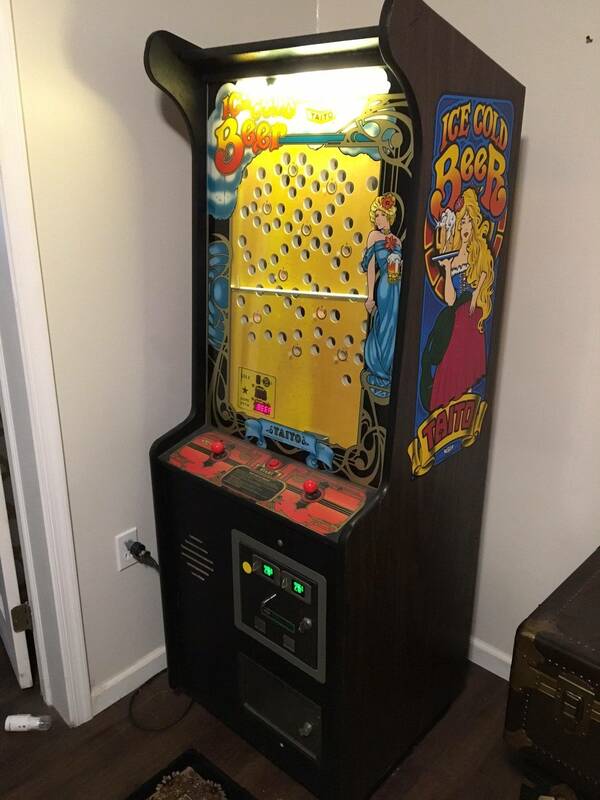 The rest of the LED's in the playfield seem fine but they were of a different type. ....I'm still concerned about them after this experience along with my lack of electrical knowledge. I may buy that power supply kit just for peace of mind and I thank you for posting it. By the way. 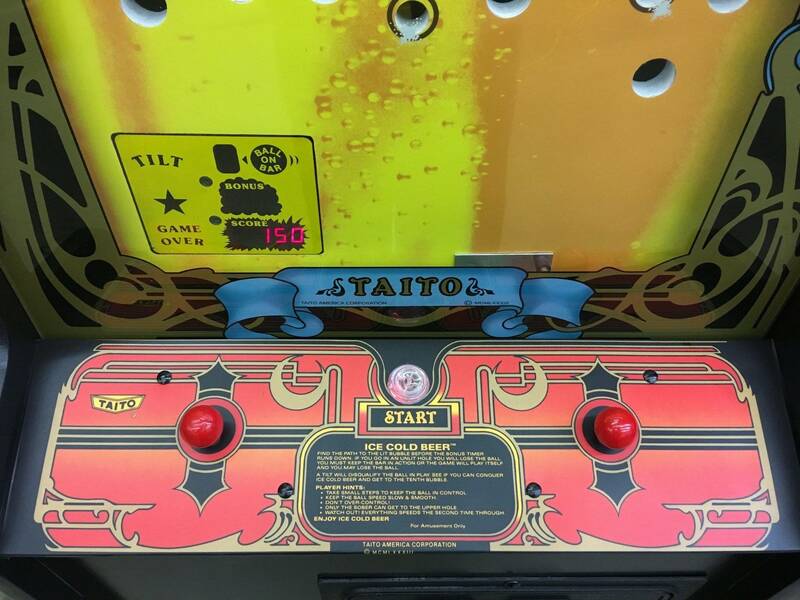 I sold my ICE, Ice Cold Beer and went back to a Taito. To each his own but I prefer the Taito between the two for functionality, game play and especially for repairs. I'm glad you finally scored one. I know you've been searching for a long time. Hey buddy! Those coindoor lamps are 1813 bulbs. 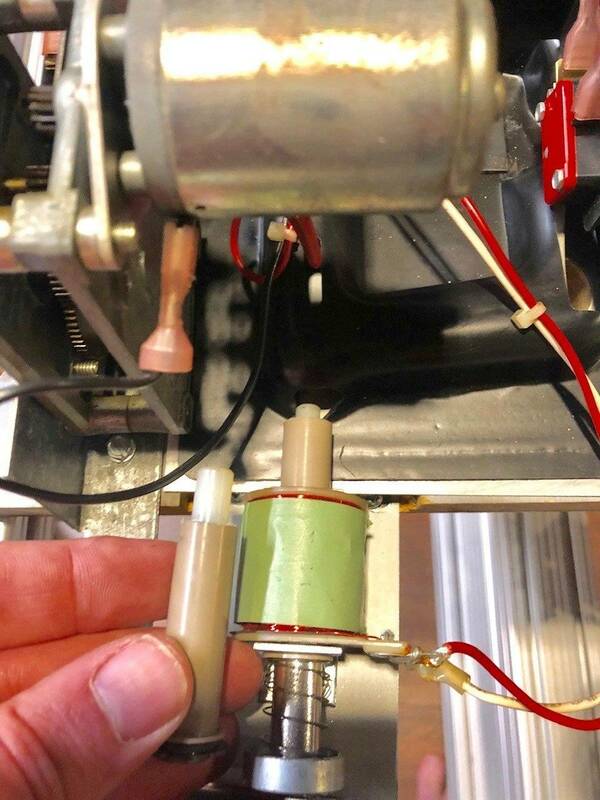 12V so 44/47 lamps (or leds) will cook. I ordered 10 yesterday. Happy to send you a few if you'd like. PM me your addy. Think I'll grab that power supply too for good measure. Price is nice. Two new motors showed up today. Will install tomorrow. One motor is horribly loud though it moves a little quicker than the other. Read up on a couple of causes for the noise I'll look into as well. Well, I owned one for about 12 years, and havent played in a couple years, but its like riding a bicycle. I made it through 3 sets of 10 holes yesterday. My record was 6-7 sets. Is there anything in code way down the line of the game? How many runs have you guys "high scored"? Yes, where did you find the motors? I have one of the replacement power supplies on mine but I can’t get the game to work. When I power it on, the motors spin and that’s it. No light or anything else. Read something about having to use different screws, shaft length but will find out for myself shortly. Can you all imagine if ICB had custom rules and a retheme that fit? 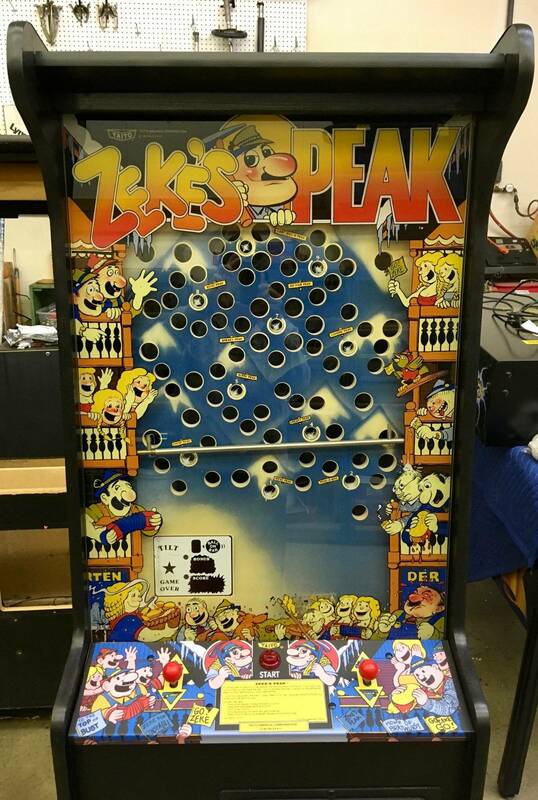 I can think of dozens of variations that would take this one trick pony snd make it really fun and have that "one more game"
Like having the second board begin at the top and you have to work your way down. Even better if the bar could load and begin at the top. Those Marco motors are an easy install. Just needed to use shorter mounting screws. Tip: the lug with the red dot takes the black wire... at least on my machine. 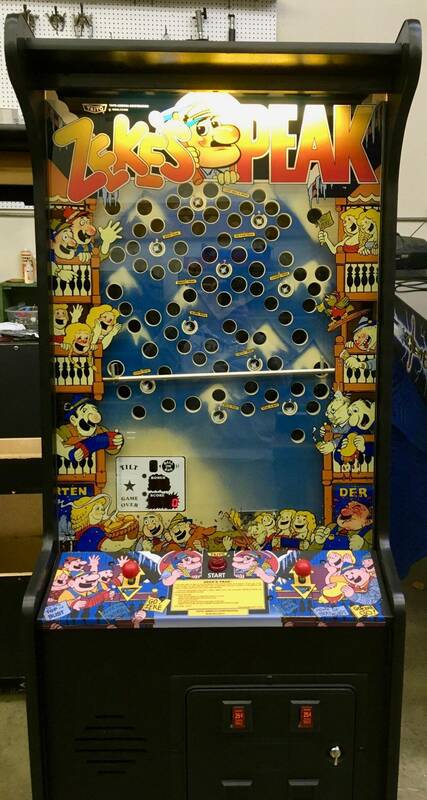 Nice that the playfield is only held on with two wing nuts. Easy to remove from the game to swap motors. Used the opportunity to clean the bars too. Any of you ICB owners ever order these belts from marco? The original were orange and these look to be clear. Probably fine but don't want to have to place a 2nd order somewhere else. those work fine for Tatio version. Not for ICE version. Why not in ICE, are the pulleys a different size? different length between pulleys. For ICE you just use the orange windshiel washer tubes. I think Pinball resource still sells them. Freeplay can be achieved via a ROM hack or via a hardware hack to the credit switch. I dont revall those red buttons on mine. 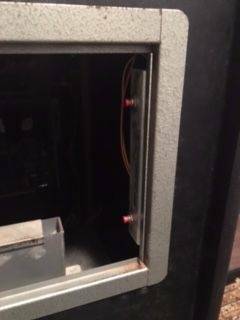 When im home later I can check and also see what that white wire goes to. Rarely when adding coins the game goes into error mode and makes a star trek siren sound. The coin mechs and switches are in good shape. I have to power cycle the game to clear the error. Once a credit is added the game automatically starts. I'm not sure if this is normal or not but doesn't seem right to me. You can't play a multiplayer game like this. The game is set for continues and will not auto start to continue, you have to press the button to do so. If the timer runs out it will then auto start a fresh game. Finally! I ended a year and a half long search for an ICB tonight! 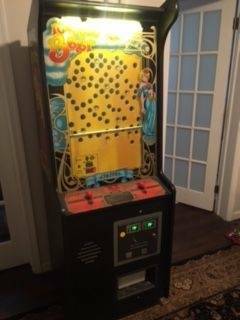 Found it on Craigslist, and drove 6-hrs round-trip to retrieve. Currently non-working, but it is complete and in a respectable condition. I have visions of grandeur for it. If you don't mind, please let me know of any must-do bulletproofing you guys would recommend. The belts are as hard as pencils and fall apart when you touch them, so that is an obvious starting point. I also was going to pull the boards and replace any electrolitic caps, and the memory battery, before powering it on. Lastly, and in the interest of providing an additional data point on the current pricing/market of these games... I gave $1750 for this one (5/1/2018), and don't regret it (yet, at least!). 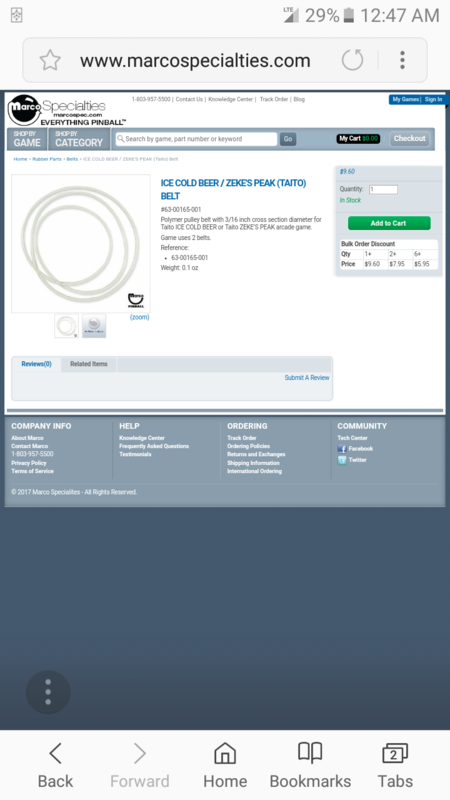 I have a pretty nice ICE ICB version (the one with 2 extra holes; 12 holes total) that I have considered selling or trading recently. I know the ICE one is more rare, but no idea on current market on these. Thoughts? Wonder if there is an interest in a reprint of the Tilt Panel? Would need a minimum of 30 takers to make the run possible. Also wondering if people would object to a polypropylene sticker instead of silkscreening. Thoughts? 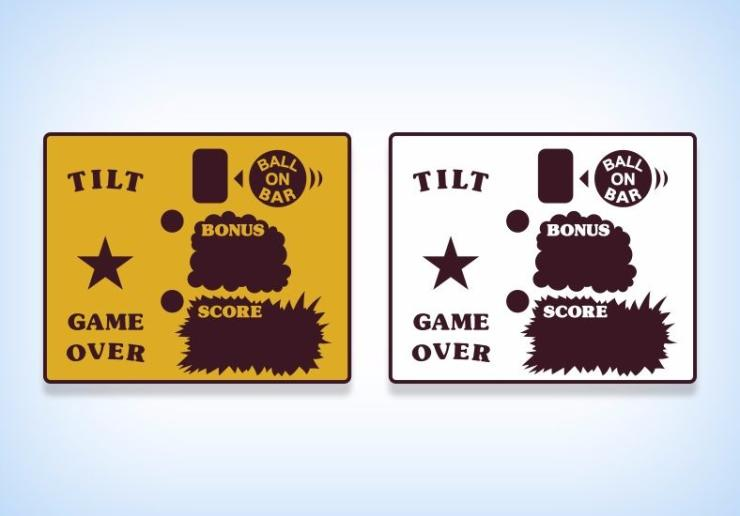 Wonder if there is an interest in a reprint of the Tilt Panel? Anyone want to sell? I live near DC. 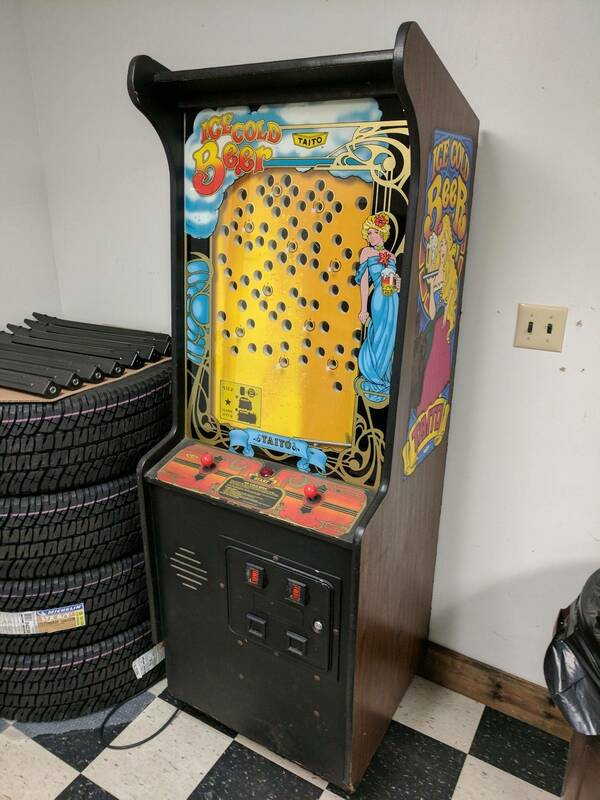 I have one in PA asking $3,200 sent you a PM. Question for owners. Where are your bubbles? I have 2 machines and one has bubbles (white dots) on the glass that align with each numbered hole. The other, the bubbles/dots are randomly placed. See pics. My original glass and new replacement from Phoenix Arcade have the “bubbles” aligned with the numbered holes. My guess is that the second one is misprinted. It looks like the bubble pattern is the same if you flipped the glass vertically on the second one. Maybe the screen was inverted when they screened it? Are the bubble printed on the inside or outside of the glass? It sure looks like an upside down print. Paint is inside the glass. By the way. I just installed one of those plastic tubs on eBay. Had to move the lost ball upkicker coil assembly a little to the right (filled/drilled new mount holes) and use a longer plunger (shooter) but it works as it should. I have another on the way for my other machine. Sounds like these were printed in multiple stages and they they had the screen upside-down when they screen printed it. I just replaced a motor/and gear assembly (on the right side), and also installed a free-play ROM. Everything works great, but now the ball seems to hit the glass often. 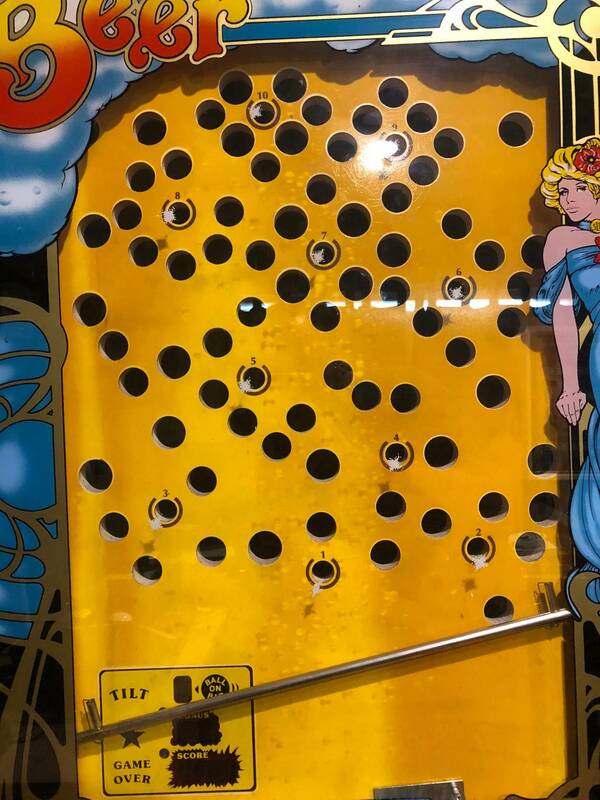 It happens every time the ball gets first put on the rail (comes out of the hole, "tinks" off the glass, then settles on the rail). Perhaps it was doing it before, but I think I would have noticed. 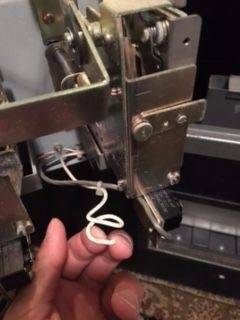 Does this happen on your machines? I wouldn’t sell mine for less than 5k. 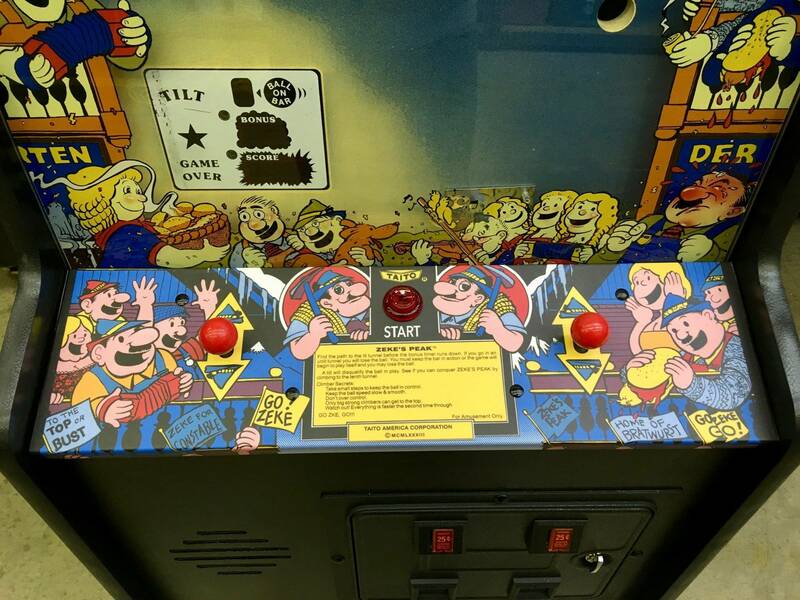 Absolutely one of my favorites in my Arcade! The rails that the bar moves on shouldn’t be affected by new motors. 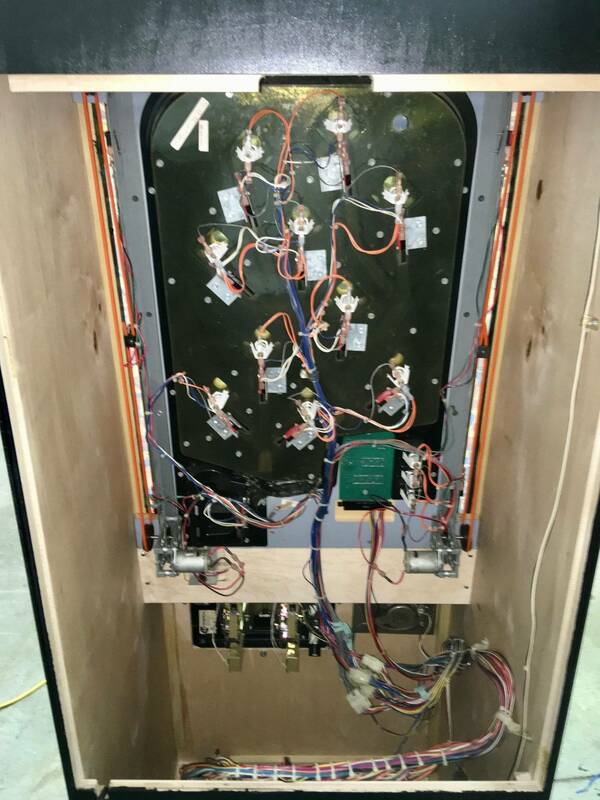 Check that the glass is in place, the control panel locked down and the game is leveled. My other ICB has new motors from Marco Specialties and no increased glass hits.